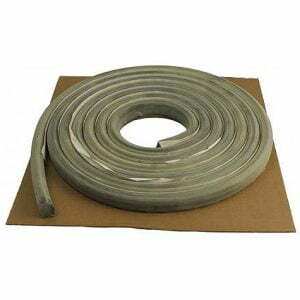 – Is an expanding sealing tape made of bentonite with time-delaying protective membrane. – Composed of natural bentonite clay, which swells on contact with water and butyl rubber, which makes it flexible. – is fitted with a time-delaying protective membrane that prevents the swelling before casting for about 2-3 days. The protection disappears when casting because of the increased pH. – is certified by Vattenfall. – is equivalent to Volclay.